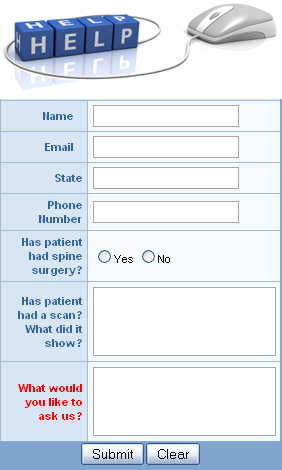 ⋅ Where Do Medical Doctors Have Surgery ⋅ What Some Other Centers Do? 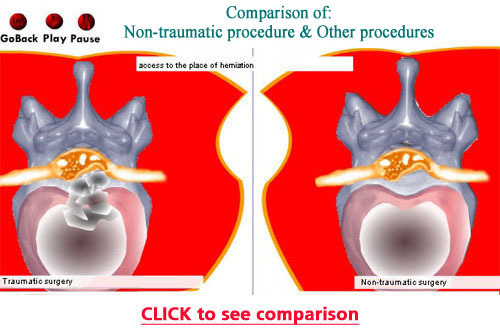 (1) NASS defines the following: "Open discectomy" done through "an approximately one-inch incision" is the most common surgical treatment for ruptured or herniated discs of the lumbar spine. 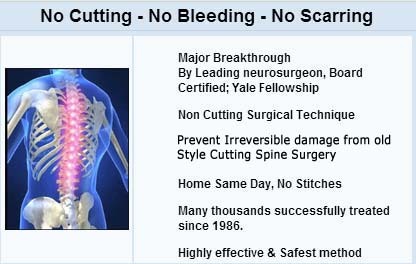 (2) Mayo Clinic, Dr. Gordon Deen says: "We don't use or recommend laser spine surgery"
(3) Discovery Health says: "None of the most recognized health authorities in the United States, or elsewhere, endorse laser spine surgery." 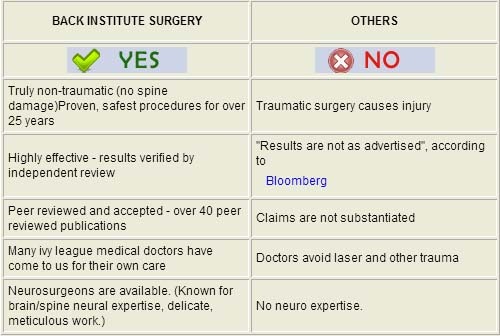 (4) Bloomberg News says: "Results of laser spine surgery are not as advertised. The number of malpractice suits is higher than expected for the volume of work." Want to know more about LASER use in the SPINE?